Published on March 9, 2012 March 8, 2012 by Kristina @ Family. Work. Life. Food Waste Friday keeps me responsible & accountable for my family’s food & finances…thanks to The Frugal Girl! We had much less waste than I expected. Conlan turned 3 this week so I thought we would have a bazillion cupcakes go to waste. Turns out we ate them all throughout the week and didn’t have any go to waste. Win? When I was making the cupcakes it turns out the batter went further than I expected. I had enough “leftover” batter to bake a round cake, which I froze (along with the leftover frosting) until later in the week. Then I defrosted everything and Conlan & I made cake pops to take along to daycare! They were my first attempt – and I was assisted by a VERY enthusiastic little boy – so they are far from perfect, but they sure were a fun weeknight project! The were also a great way to use up extra cake & icing. 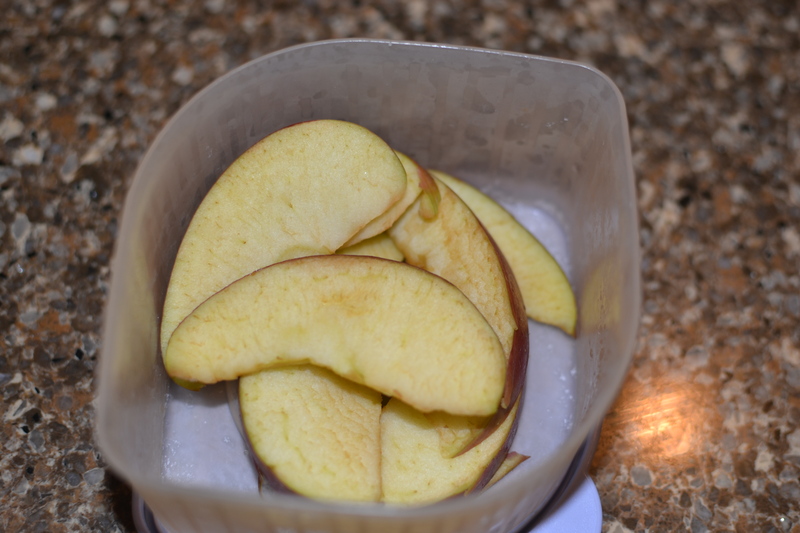 I found some apple slices in the fridge that needed to disappear, and it would appear we didn’t go through as many sandwiches as I expected us to. It’s a little more painful when it’s homemade. Your cake pops are so cute! What a great way to use up cake and icing! Love the cake pops. Did you have problems with the cake crumbling before you put the icing on? 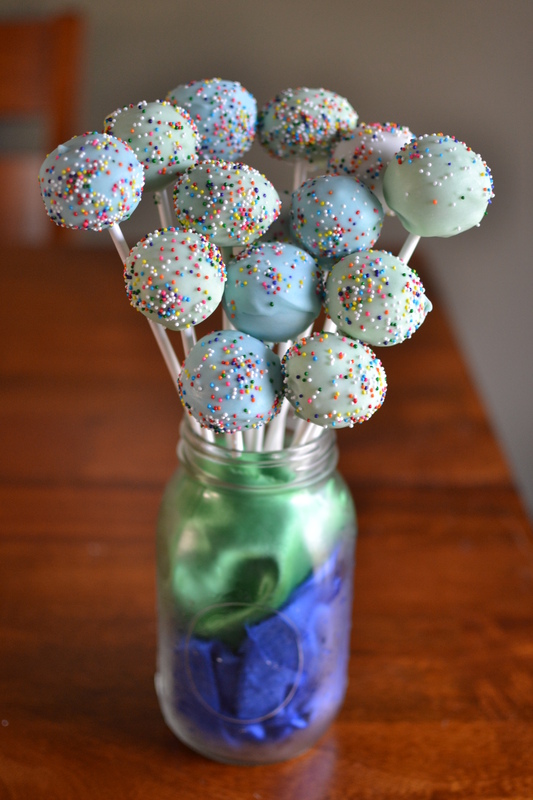 Your cake pops are so cute! 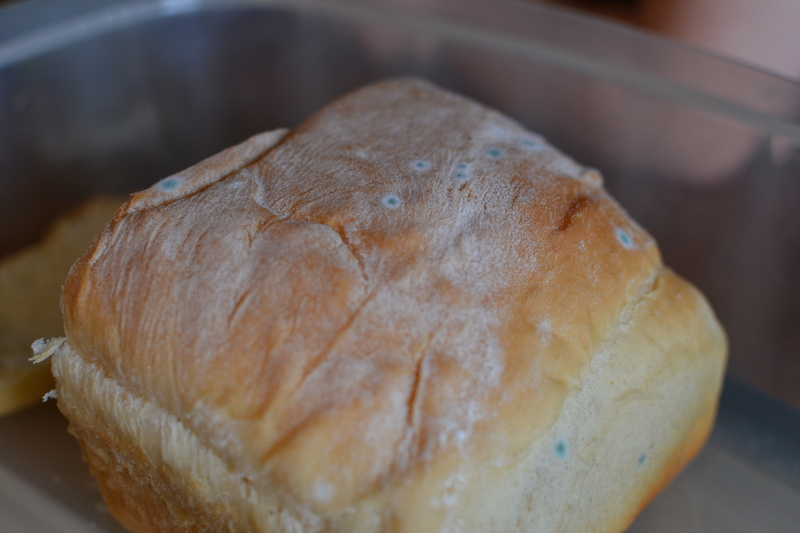 Bummer about the bread.